Hi everyone! Like I mentioned on the Little Bleu Studio Facebook, I am very sorry for my absence this week! 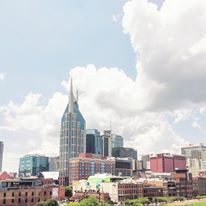 Finally feeling a bit better after a rough week of pneumonia, so this week I wanted to talk about one of my favorite cities in the South – Nashville, TN!